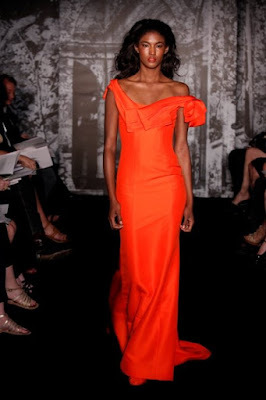 Designer Carolina Herrera is calling Orange the new Red. That's what she told journalists after her resort fashion show a couple of weeks ago. We've been seeing this bold bright color popping up everywhere from model Miranda Keer to Ashley Olsen. Orange can sometimes be a little tough to pull off. If you have pale skin, wearing orange close to your face such as a top might make you look washed out, so try wearing it in an accessory such as a belt or shoes. If you have olive skin tones almost every shade of orange will look nice, but a warm burnt orange will look really nice against your complexion. Also, when wearing orange pair it up with neutral colors such as khaki.